Debating about what to make for Christmas dinner? 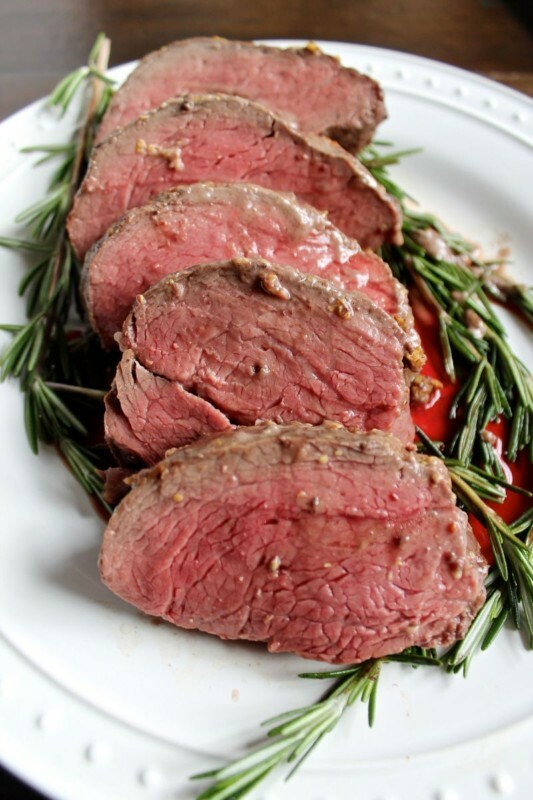 I have rounded up eight of my best Christmas dinner recipes for you. I’ve picked a variety of recipes for you including recipes that can be made ahead of time, and recipes that are low on active preparation time. 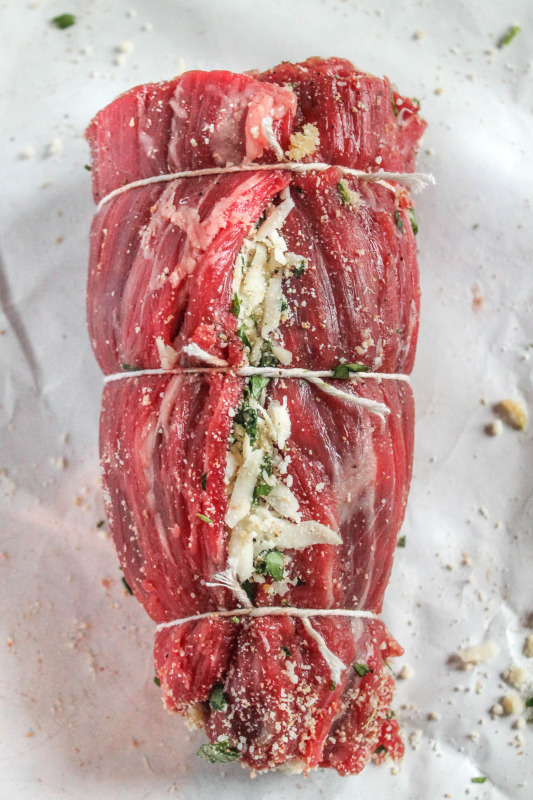 Braciole. 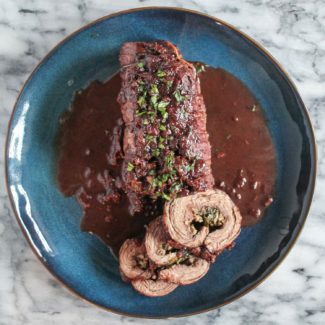 This meal comprised of flank steak rolled up with cheese, breadcrumbs, and herbs cooked in wine and marinara sauce only requires 20 minutes of active preparation time. It’s the type of meal that easily feeds a crowd, and it pairs well with fresh pasta. (The finished product is pictured at the very top of this post). Chicken Marsala. This classic Chicken Marsala takes even better when it is made a day ahead of time. 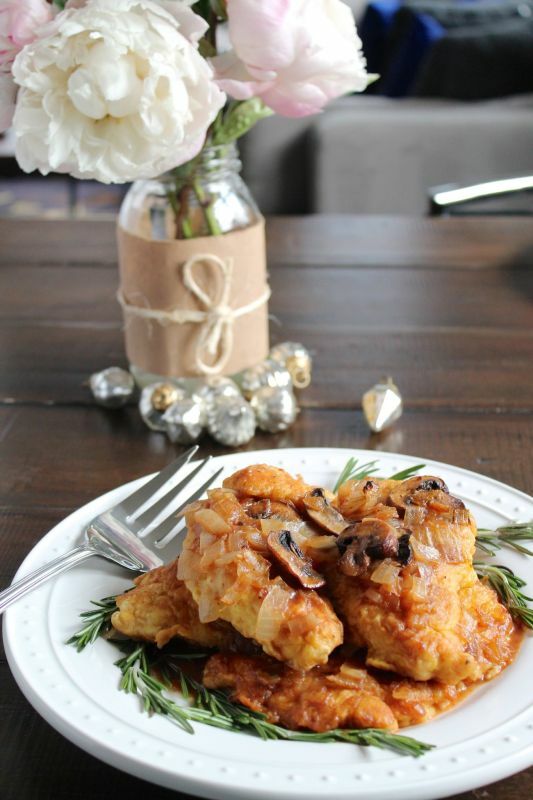 Chicken is rolled in flour, quickly browned, and then cooked with a marsala wine and mushroom sauce. 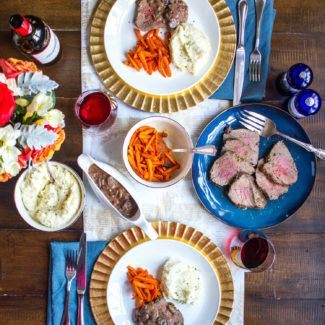 It can be served with egg noodles or mashed potatoes. 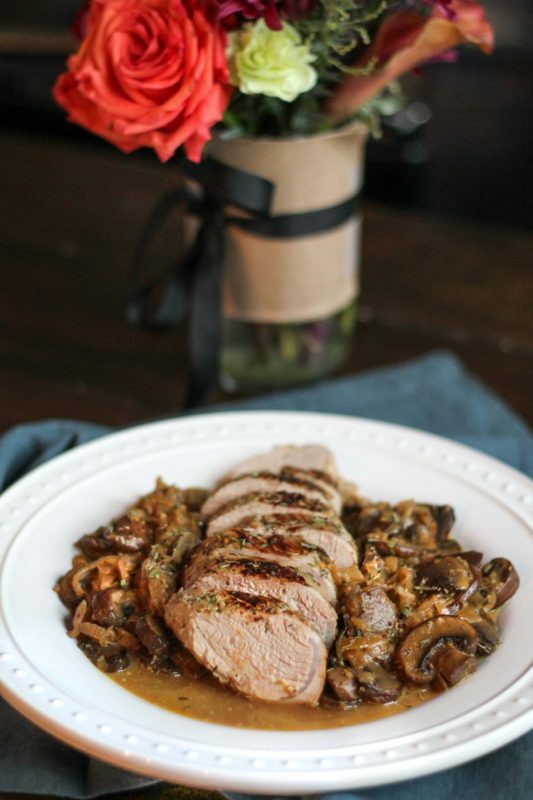 Shallot and Mushroom Pork Tenderloin. This is one of my all-time favorite recipes, and it can be prepared in just 30 minutes. 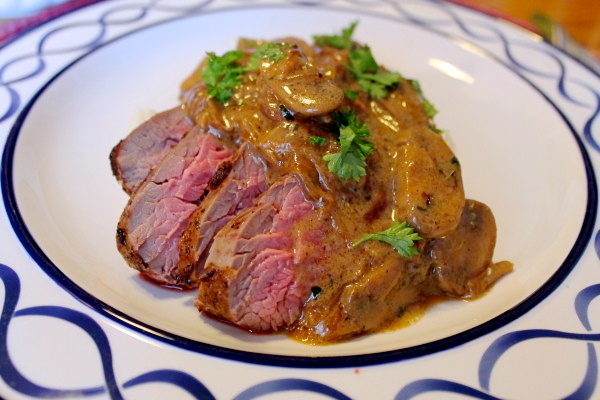 The pork is seared and then roasted and with sauteed shallots and mushrooms and seasoned with mustard. 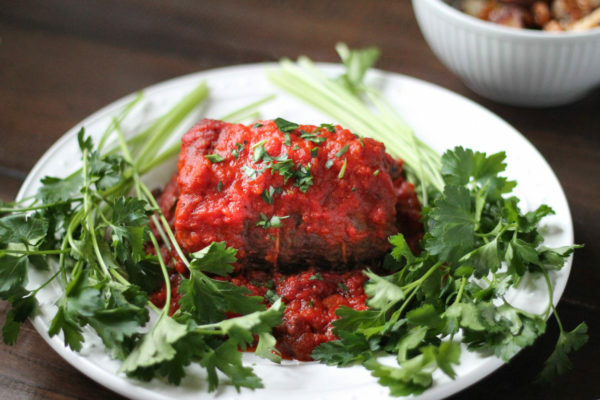 It’s so flavorful and it’s incredibly easy to make. 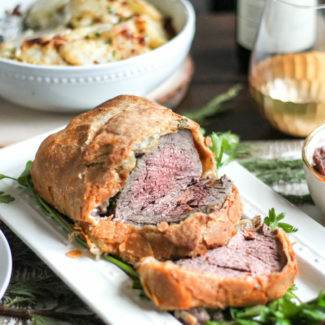 Beef Tenderloin with a Red Wine Mushroom Sauce. 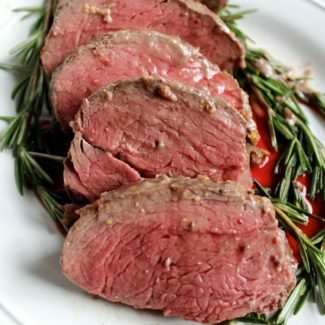 If you want something a touch more formal, try Beef Tenderloin with a Red Wine Mushroom Sauce. Beef Tenderloin Tips with a Bourbon Mushroom Sauce. And here is my Mom’s recipe for Beef Tenderloin Tips with a Bourbon Mushroom Sauce, which has been served a few times on Christmas at my parent’s house. 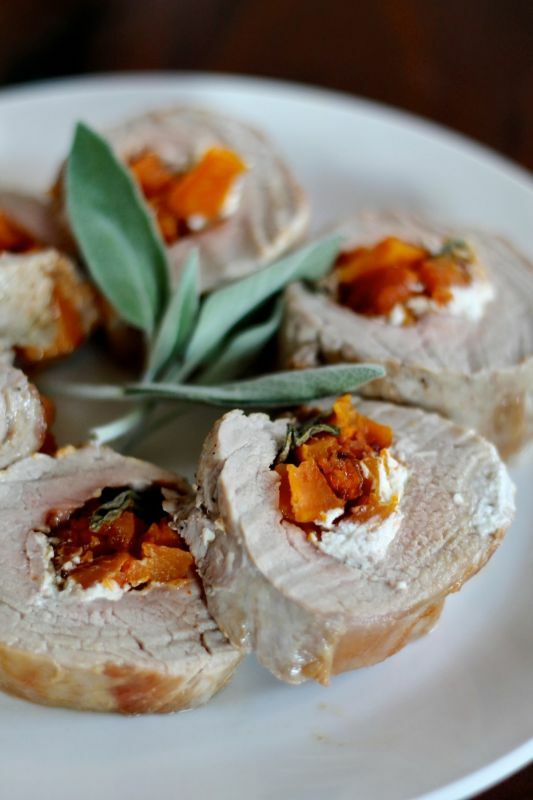 Goat Cheese, Butternut Squash, and Sage Stuffed Pork Tenderloin. 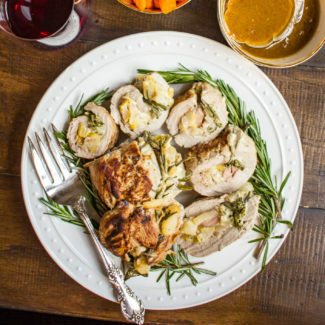 I cooked this Goat Cheese, Butternut Squash, and Sage Stuffed Pork Tenderloin for Christmas Dinner last year when we celebrated with my in-laws in Munich. Mushroom, Manchego, and Almond Risotto. Looking for a vegetarian option? 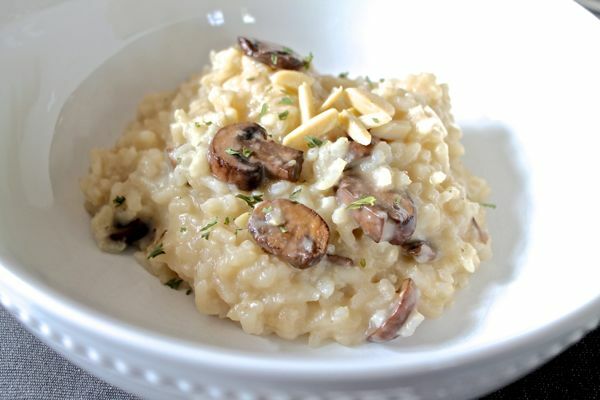 Risotto is a hearty meal that will satisfy meat eaters too. This also works as a side dish if you want to serve meat in addition to risotto. Honey Maple Turkey Breast. 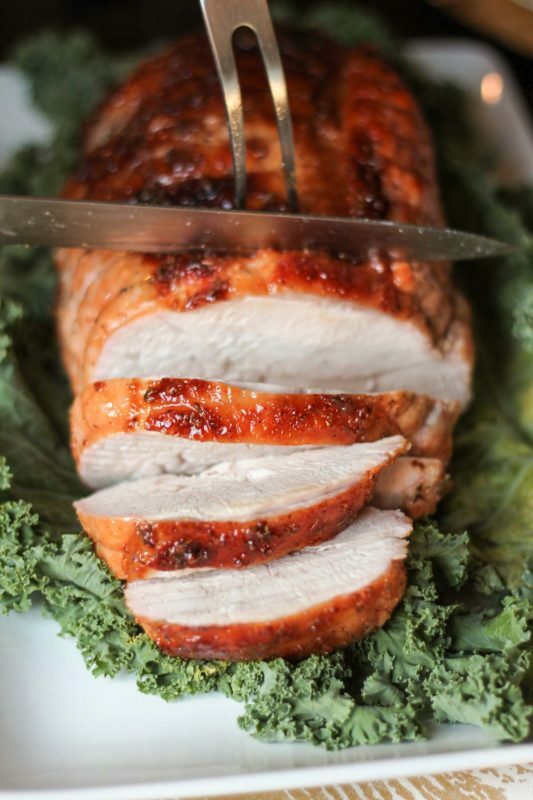 If you plan to make turkey again, here is my recipe for Honey Maple Turkey Breast. Making a turkey breast is faster and easier than cooking a full turkey, and it can still feed 6-8 people. 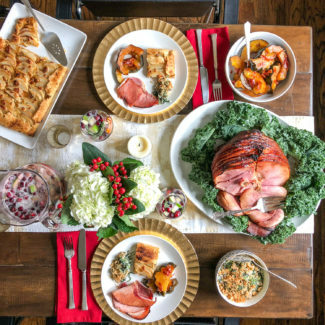 Does your family have a traditional Christmas meal, or do you serve something different every year?